In Singapore recently, going cashless has been in the news quite a bit. However, when I was in Japan, I noticed something interesting – there doesn’t seem to be any rush to go cashless. 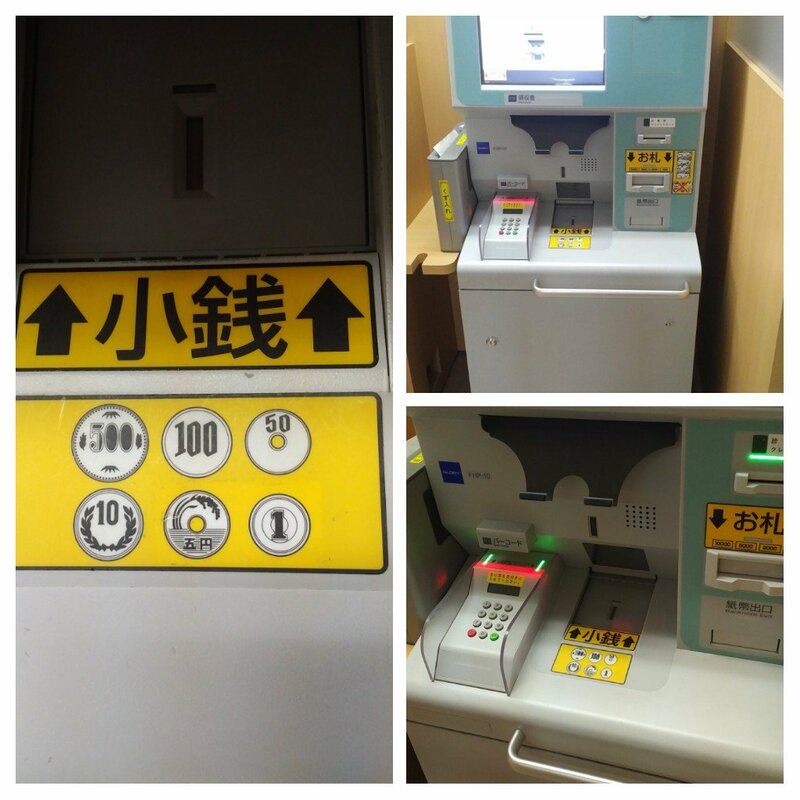 For example, this payment machine in a hospital will accept any Japanese coin – from the mighty 500 Yen coin (approx US$4.48, SG$6.04 as of 19th Sep 2017) down to the lowly 1 Yen coin (which is worth US$0.009, SG$0.012). It seems surprising that they would put in all the technology to accurately count even 1 Yen coins. Is it needed, and is it worth it? Every Japanese coin is welcome! A friend confirmed that the medical bills are not rounded – so, your bill amount might be something like JPY 2106 (after the tax is included). If you’re expected to pay it at the machine and they want to support payment by cash, the machine has to support receiving and returning 1 Yen coins. Of course, it could be argued that you should use the machine and pay only by card but this machine makes no such assumptions. Why not round the bills? When Singapore phased out the 1 cent coin, it also resulted in amounts being rounded to the lower 5 cent value if you paid in cash. I wonder why they didn’t just adopt that and round down to the nearest 10 yen? Well, I wonder why and have no real answers. But I guess technological advancement doesn’t naturally translate only into going cashless. It also translates into using technology to support people in the way they want to do things… even if that way might be considered “old school”.